Tangled and True: caramel apples. I've always wanted to attempt the loaded caramel apple, but it scares me. Have you done it? Tips? These instructions make it seem do-able. Maybe this will be the year I actually take the plunge and make some. they are only as good as the apples underneath all the "loading." that's all I can tell you. I'll be a taste tester if you need one! Yes, and you need to try it, at least once. I love to make a whole bunch and package them up in a cellophane bag, and a beautiful bow. Then pass them out to friends. That way even your not so pretty ones end up looking gorgeous. 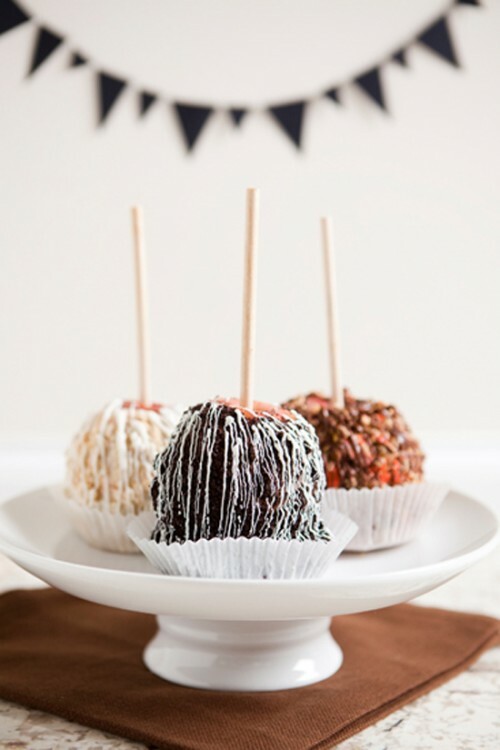 Love caramel/chocolate/marshmallow apples. I've never had the patience to make them myself, I usually indulge at Rocky Mountain Chocolate Factory.